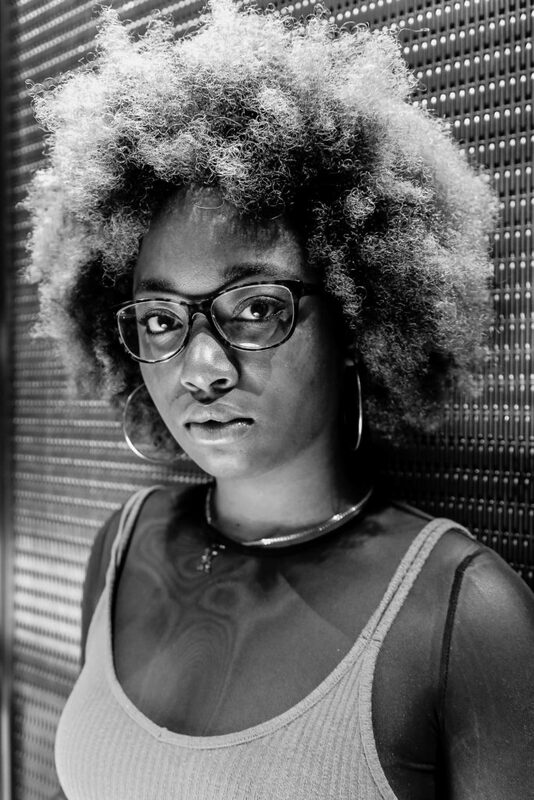 Chicago’s second-ever Youth Poet Laureate is artist and activist Patricia Frazier. Frazier grew up in the Ida B. Wells Homes in Bronzeville and later in Englewood, and has been writing poetry since elementary school. She was a two-time finalist at the Louder Than A Bomb spoken word competition while a student at Gwendolyn Brooks College Prep. In her poems, she says, she is “trying to disrupt mainstream narratives as often as I can, and also trying to make space for everyone’s narrative, and trying to make space for detail and specificity. A broad narrative is okay, but a narrative that has no holes, that does not tell a single story, is the most important to me.” She’s now publishing a collection of poems with Haymarket Books, which will be out next summer; in the meantime, you can follow her on Twitter @hakunamattities. She died on a hot september night. Her spirit rose from her body like a bird fleeing a falling tree, transcending the green and yellow bathroom walls. She flew over the empty plain we used to call home, moonwalked across the McCormick place bridge, and into the uber on 22nd street, where her granddaughter received the news. Her granddaughter hung up the phone and fell into the arms of the car door, weeping into a cup holder. The sun fell with her granddaughter’s breath, the driver redirected the route. The car rises off the ground, the driver pulls the gear shift one notch past L. The car tilts upward, the engine smoking like the head of a cigarette. The car spins the granddaughter’s brain back in time. Gyrating as though driving through a vaguely familiar giggle. It is 1998 and she died years before of old age. The granddaughter exits the vehicle and the doctor shouts “It’s a girl!” and it is a selfish new world. The granddaughter cries as Jay-Z raps a Hard Knock Life, but the granddaughter will never know. 1. an area of land, smaller than a forest, that is covered with growing trees. but everybody wants to hold. gone but us black girls don’t be getting no amber alerts. Wow, Amazing writing and spirit that jumps right off the page!